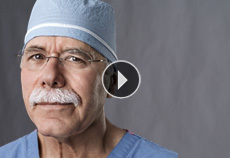 Pat Toselli, DO, believes there is no such thing as “routine” surgery. Just as each patient’s anatomy is different, so is each surgery. Now with more than 30 years’ experience, he’s proof that expertise is earned through years of doing something over and over. At Lehigh Valley Health Network, general surgeons provide you with the highest-quality care – with compassion, comfort and respect – in a timely and considerate manner. We offer state-of-the-art care for routine surgical procedures. We utilize minimally invasive techniques that significantly reduce the amount of time spent in the hospital and promote a quicker recovery. Some procedures may be offered robotically. Our team of skilled general surgeons can provide surgical consultations, second opinions, elective general surgery and emergency general surgery, with multiple practice locations in the Lehigh Valley. For questions about general surgery, call 888-402-LVHN. Prior to surgery, patients are educated and given materials and supplies in order to follow a strict operation preparation plan. During surgery, physicians attempt to avoid anesthetic gasses and intravenous fluids that may cause postoperative pain and nausea issues. After surgery, patients are encouraged to drink fluids regularly, get out of bed, get moving and begin eating as quickly as comfortably possible. Staff members then follow up with patients post-discharge to monitor progress. Some studies indicate the ERAS program can reduce length of stay by up to 60 percent. We believe ERAS will lead to better outcomes while helping patients feel more engaged in their surgical journey.